We are specialist family mediators offering high quality, professional mediation across South East Wales. Mediation is a unique process and does not involve counselling or therapy. Nor is it arbitration where a third party makes the decisions. No legal or other advice is given. The underlying principle is that agreements reached by people themselves, as experts in what is right for them and their children, are more sustainable than court orders. 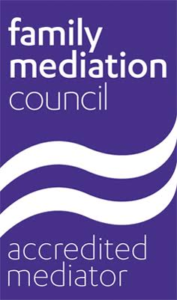 Mediation provides an opportunity for you to consider these matters together with the help of a mediator, to decide jointly what you think are the best arrangements for you and your family.